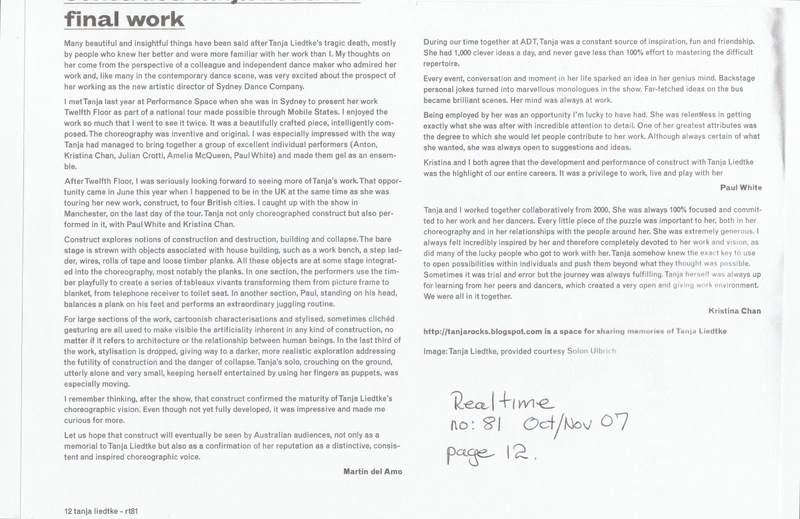 Review of construct – London, 2007. 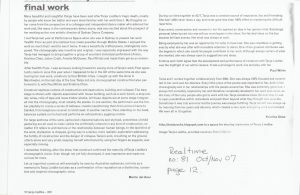 Writer: M del Amo in Oct/Nov edition of Real Time Arts. Also two brief memorial articles by Kristina Chan and Paul White.